Use Olive Oil for a Beautiful Skin. Olive oil is one of the ancient treasures women use in order to achieve a wonderful, radiant complexion. Starting from the ancient Egyptian times women turned to this secret product to enhance the beauty of their skin in a natural way. Today we will share this secret with you, giving you some great tips about how to use olive oil for a beautiful skin. Olive oil is one of the most precious natural ingredients used mainly for culinary purposes. Have you ever wondered why women living in southern, Mediterranean countries have such a beautiful, glowing skin and wonderful, thick hair? Olive oil is the key to their secret. This miraculous natural product acts as a great moisturizer, nourishing the skin and the hair. Since it is a natural antioxidant as well, rich in vitamin E, it facilitates the elimination of toxins from the organism. Olive, this tiny green fruit endows us with this prized oil that takes care of your skin naturally. 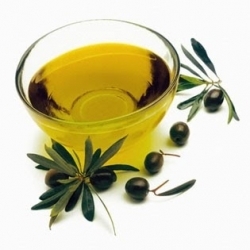 Nowadays, olive oil is widely used as a popular natural beauty product having numerous benefits for a beautiful skin. It helps to preserve the elasticity of skin, keeping it smooth and radiant, it nourishes hair, adding a healthy shine and thickness to it. Olive oil is a really effective way to prevent the early signs of aging and various skin problems. Therefore, besides using it on your body, moisturizing it from the outside, incorporate this great natural product in your daily diet as well. This way, olive oil will protect your body from the inside, boosting your health and improving the aspect of your skin. Check out the following useful olive oil treatments in order to pamper your skin with a wonderful natural moisturizer and provide it with the necessary protection. Olive oil works really well when applied instantly over dry, peeling areas on your skin, such as heels or elbows. This costless home remedy can be found in your kitchen and can be used whenever your skin needs a little extra care. Simply massage a small amount of olive oil into the affected area where your skin tends to be super dry and you will immediately see the difference. Generally our feet are dry, as they are always in use. Before going to bed, give them a deep moisture by applying a proper amount of olive oil to your feet and massaging it well into your skin. In order to let the oil penetrate deeply into your skin, cover your feet with cotton socks. After this magical treatment, your feet will feel smooth and rejuvenated in the morning. Prepare a natural homemade sugar scrub to treat the dry, rough skin on your hands. It is a fast and easy way to give your skin a deep moisture, providing it with essential vitamins that are present in the olive oil. Mix two tablespoons of of olive oil with two tablespoons of brown sugar. Apply the mixture on your hands and rub it until the sugar has dissolved completely. Then wash your hands with warm water and you will immediately notice how soft and touchable your skin has become. Another great natural remedy for dry cuticles and exfoliated nails is preparing a hot oil treatment by adding a few drops of fresh lemon juice to a small amount of hot olive oil and soaking your hands for about 5-10 minutes. In order to achieve a wonderful, baby-smooth skin and a fresh, radiant complexion, prepare a moisturizing facial mask out of olive oil, egg yolk and honey, mixing them until they are blended well. Apply the mask to your face and relax for 10-15 minutes, letting the ingredients to take effect. Rinse with warm water and enjoy a soft, healthy skin. Olive oil is a wonderful hair treatment product as well, leaving you with strong, shiny hair. For a simple homemade hair treatment, warm a small amount of olive oil and rub it well into your scalp with massaging movements. The wrap your head in a shower cap and leave it on for 20-30 minutes when you can proceed with shampooing. Benefit from this wonderful natural moisturizer and use it whenever your skin needs an extra attention. Include extra virgin olive oil into your diet regularly, use it on salads to make your food more delicious and provide your body with essential vitamins that are vital for achieving a healthy, radiant skin and for the proper functioning of the organism as well.